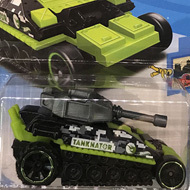 FJW90 is a 2018 Treasure Hunt and 1/10 in the X-Raycers series. The car is blue with a light blue canopy. Pale blue and yellow circuit board graphics decorate the canopy. The body has gray circuit board graphics and the low production symbol which is somewhat hidden by the canopy. 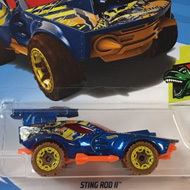 It has a gray interior, translucent yellow PR5 wheels with black trim, and a gray plastic Malaysia base. 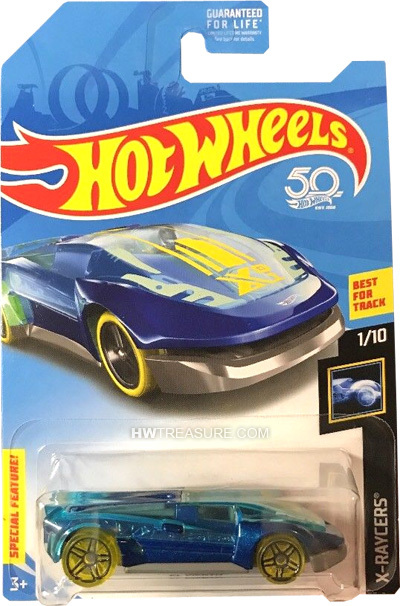 This vehicle can be found in mix “B” of 2018 Hot Wheels mainline cases. El Viento (“The Wind” in Spanish) made its debut in the 2017 Experimotors series. It is a unique design of a high-performance futuristic car.